Back On Market!!! Seller Motivated! NEWLY RENOVATED for 2018!!!! - BEAUTIFUL 3 bed/2 bath- Spacious open floor plan. All NEW -Roof, Electric, A/C, Recessed LED Lighting, Hot Water Heater, Double Pane Windows, Porcelain Tile on Kitchen floor w/Granite Counter tops and Shaker Cabinets, Whirlpool Stainless Appliances, Engineered Hardwood throughout, Walk-In Closet in Master, Double Sinks, Glass Shower, Carrara Marble Vanities in Both bathrooms, Doors/Moldings, Paint, W/D Hook-ups, Large Backyard with Screened Lanai, Build your Dream Pool(58' X 142' lot)!!! 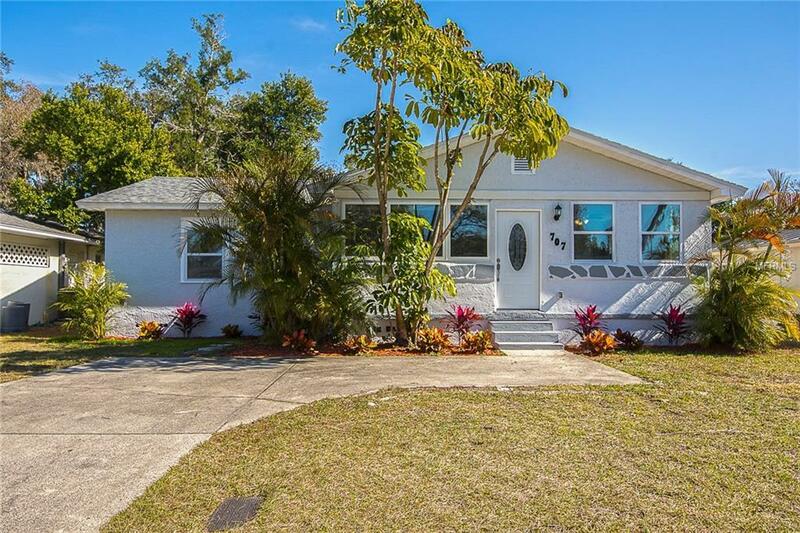 Location, Location-2 Blocks from Crest Lake Park, Only 4 miles to Clearwater Beach,FL, No Flood Ins., No HOA Fees, No Deed Restrictions! Stunning must see!!!! Listing provided courtesy of Gasparilla Realty.